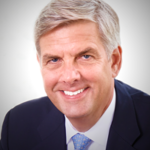 Republican candidate for CT Governor Bob Stefanowski. 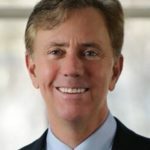 Democratic voters in Lyme and Old Lyme mirrored the state’s Primary results in choosing Ned Lamont to run as Governor over Joe Ganim by an overwhelming majority. Similarly, on the Republican side, both towns’ voters followed the state trend and created an upset by selecting Bob Stefanowski as their candidate for Governor over endorsed candidate Mark Boughton from a field of five. In contrast, local State Senator Art Linares, (R- 33rd), who was running to be the Republican candidate for State Treasurer in November and whose District includes Lyme, won by a significant margin in both Lyme and Old Lyme. He was, however, defeated at the state level by Thad Gray, who polled 73,673 votes compared to Linares’s 58,162.